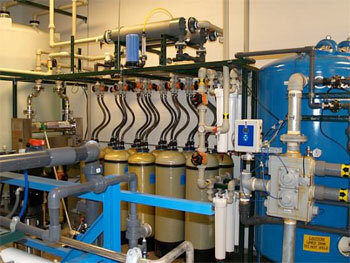 Water that complies to USP, ASTM, CAP, NCCLS, ANSI and AAMI. Typical uses are in dialysis, medical, laboratory, pharmaceutical, research, biotech, manufacturing and other industrial processes. Ultrapure water systems are used to reduce or eliminate dissolved and suspended solids, biological organisms, dissolved gases and organic carbon. This is critical in complying with required standards for different commercial and industrial applications.